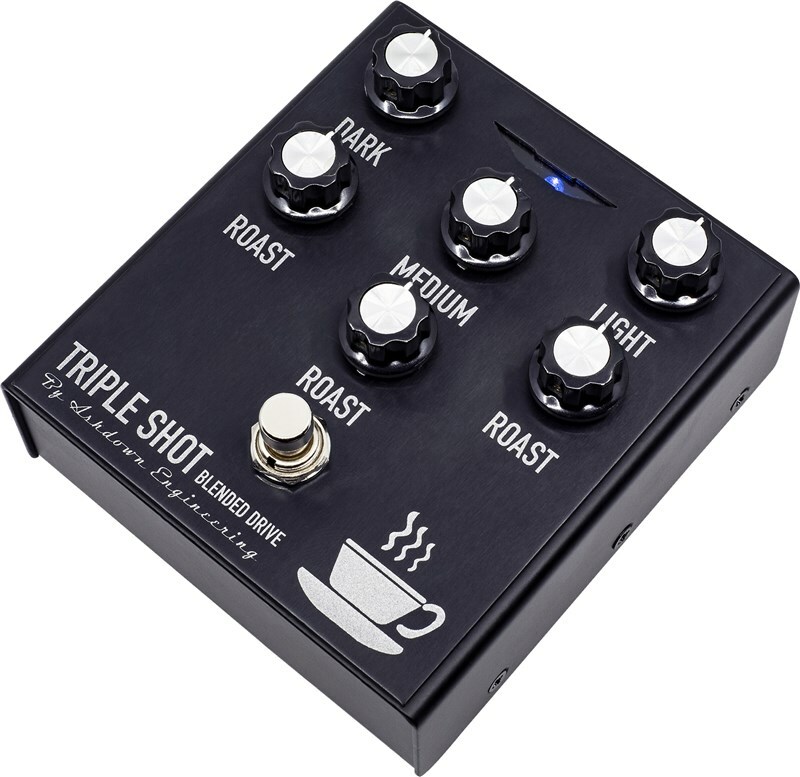 In essence, the Triple Shot is three individual distortion pedals in one! The signal from the instrument is split into three distinct frequency bands (“Dark”, “Medium” and “Light”) and fed into three distortion generators. Each band has its own level (“Roast”) control before being recombined to create a full signal. It is therefore possible to retain and enhance the low-end frequencies of your bass sound with a thick and chunky overdriven tone, enrich the top-end with high-gain trebles — or take the two extremes and mix them together to harvest a vast selection of distinct sonic qualities. 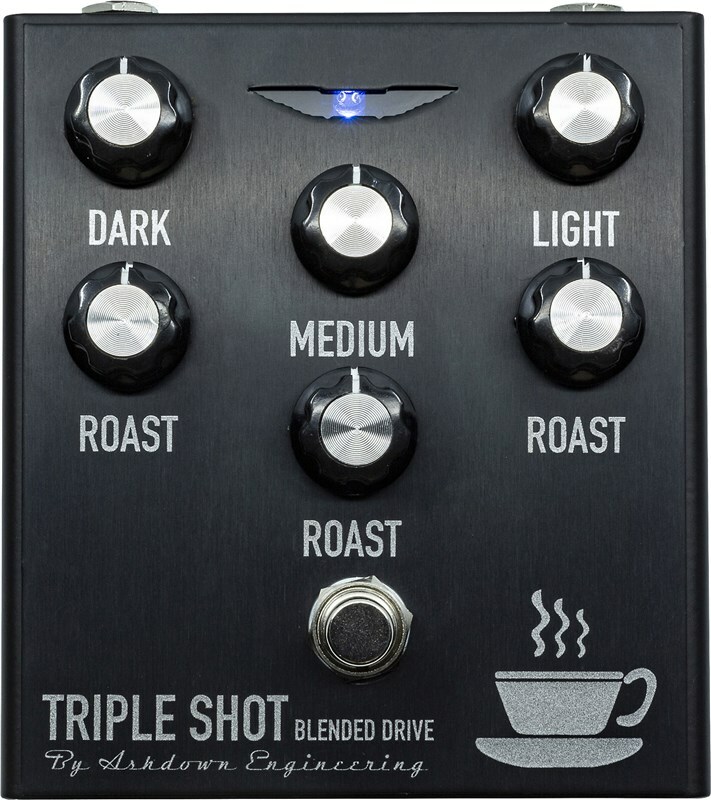 With all of the ‘Roast’ controls set all the way to the left, it’s a simple, independent EQ… but using each of the Roast controls in harmony with its corresponding Dark, Medium or Light control, then you can vary the drive from a light little tickle in the mid-range to a full-on overdriven bass sound. With all the controls at 12 o’clock you get a really nice driven bass sound that cuts above the mix in a live ‘alternative rock’ situation, whilst retaining the bottom end over your original bass signal. The pedal’s rotary controls are extremely sensitive and a slight adjustment can mean a major characterise change in sound. 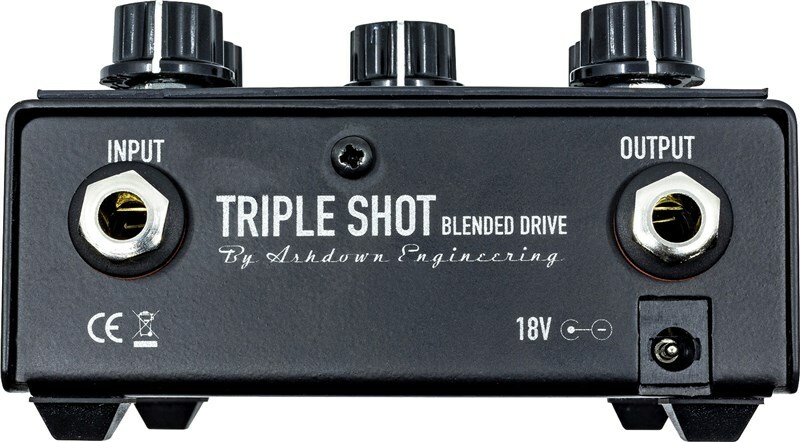 As a result, you have the ultimate control over your drive sound.